Legal Services of New Jersey (LSNJ) coordinates and supports a statewide system of five regional Legal Services programs, all 501(c)(3) corporations, with branch offices in all 21 counties. We provide essential legal aid in civil cases, such as eviction, foreclosure, access to healthcare, consumer fraud, and domestic violence. LSNJ has been providing legal education materials to New Jersey's low-income community for over five decades. Our newsletters, manuals, interactive web programs, and videos are available on LSNJLAW.org, our social media sites, and our YouTube Channel. Podcasts are the newest addition to this robust list. Topics included will be of general interest to all New Jersey residents, but of particular importance to those facing poverty in all its forms. 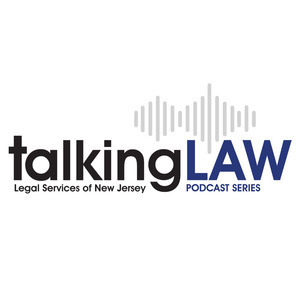 We hope you enjoy listening and share with others who may benefit from learning more about civil law in New Jersey. IF YOU NEED HELP WITH A CIVIL LEGAL PROBLEM and your income is low, apply online at www.lsnjlawhotline.org or call 1-888-LSNJ-LAW (1-888-576-5529). TO LEARN MORE ABOUT PRO BONO OPTIONS WITH LSNJ: www.probononj.org.